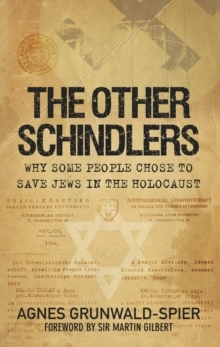 Thanks to Thomas Keneally's book Schindler's Ark, and the film based on it, Schindler's List, we have become more aware of the fact that, in the midst of Hitler's extermination of the Jews, courage and humanity could still overcome evil. 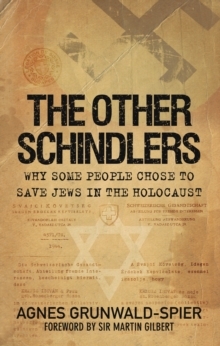 While 6 million Jews were murdered by the Nazi regime, some were saved through the actions of non-Jews whose consciences would not allow them to pass by on the other side, and many are honoured by Yad Vashem as `Righteous Among the Nations' for their actions. As a baby, Agnes Grunwald-Spier was herself saved from the horrors of Auschwitz by an unknown official, and is now a trustee of the Holocaust Memorial Day Trust. 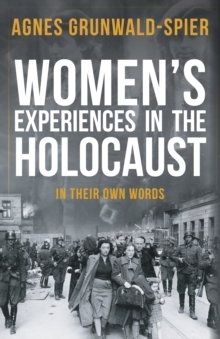 She has collected together the stories of thirty individuals who rescued Jews, and these provide a new insight into why these people were prepared to risk so much for their fellow men and women. 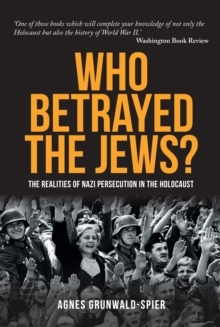 With a foreword by Sir Martin Gilbert, one of the leading experts on the subject, this is an ultimately uplifting account of how some good deeds really do shine in a weary world.